The USD sustained its impressive rally against other major currencies in Thursday Asian trading; the commodities complex faced further losses as a result of the greenback strength. 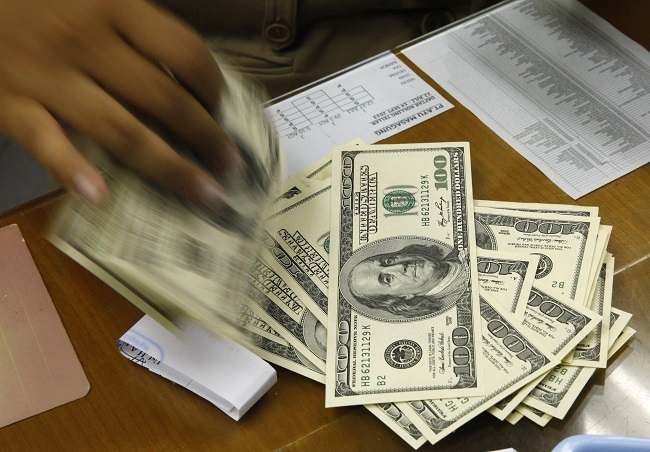 Tuesday Asian trading witnessed the dollar continuing its rally against major currencies. This served as a support for Japanese exporters’ shares but caused further losses for precious metals, crude oil and stocks from the energy sector. The USD/JPY eventually broke through the major resistance at 105.40 to make its way to a six-year high of 106.32. The US dollar also reached a one-year peak against the euro, at 1.2866. What helped for the dollar rally against the euro to hold was the fresh stimulus injected from the ECB last week. A declining yen is good news for Japanese exporters. The Topix index gained 0.2 percent to 1301.50, which was just off this year’s top at 1308.10. Other indices in Asia had a pretty steady Tuesday trade, with MSCI broadest benchmark of Asia-Pacific stocks, excluding Japan, losing 0.1 percent. Stock markets in America were quiet yesterday, with the Dow Jones Industrial Average declining 0.16 percent; the S&P 500 down 0.30 percent; and the Nasdaq advancing by 0.2 percent. A research made by the San Francisco Fed showed that traders are calculating a lower trajectory for rate hikes compared to the members of the central bank. The resulting increase in USD bullish bets sent the dollar index to 84.43, close to the 14-month high of 84.75. Yields on 10-year US Treasuries also increased to 2.496 from 2.387, recorded last Friday following the disappointing August nonfarm payrolls. The British pound was brutally sold off on Monday and Tuesday after a YouGov opinion poll showed supporters of Scottish independence with the 51 percent of the votes. The rising prospects of Scotland leaving the UK sent the pound to a more than 10-month low against the US dollar, at 1.6063 in early Tuesday morning. Gold fell more than 1 percent yesterday as a result of the dollar strength, touching a low of $1251.10. Brent crude is currently flirting with the $100 level, after slumping to $99.37 overnight, the lowest in 16 months. US crude oil was last seen trading around the $93 level.